Reserve Officer John Frankman (Foothill Area) completed his 5,000th traffic citation on May 16. 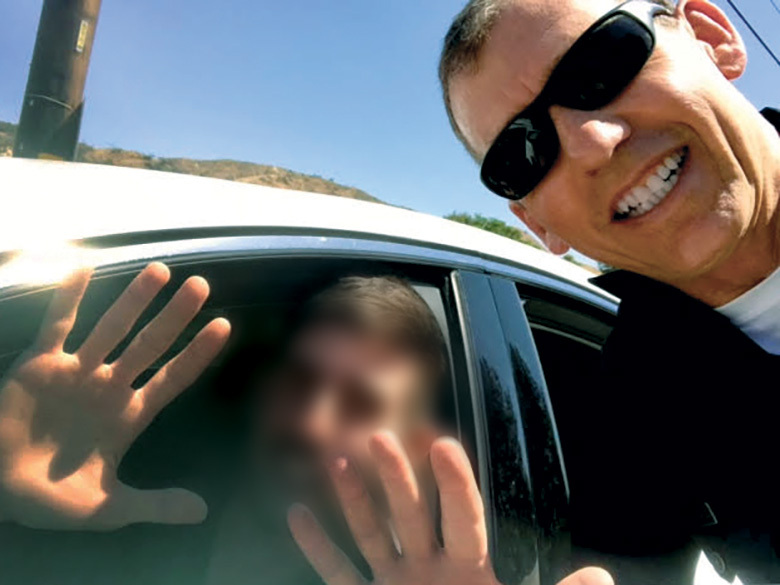 Officer Frankman (Class 10-98R) has been operating in Foothill for the last 20 years, working almost every Tuesday performing traffic stops, answering regular patrol calls and backups and working events. He has been periodically recognized as the highest citation writer in the division, reserve or full time. He has also been honored as Division Reserve Officer of the Year several times, most recently in 2017. The recipient pictured received his citation for speed, no plates and tinted windows, but he didn’t seem to mind. He even insisted on having a picture taken with Officer Frankman when he learned the significance of the occasion. Officer Frankman works in property management and is studying for a degree in theology. He is married with five children. Editor’s note: Picture blurred for privacy reasons.